A lot has changed in Brussels since the UK voted to leave in 2016. New important pieces of legislation have been discussed, voted on, and are being implemented. The EU on the ballot paper in 2016 was different to the one today. While free internet roaming throughout Europe makes a very catchy headline, it is the substantive changes in our economic model which should excite my British progressive counterparts. In 2008, President Barosso’s European Commission focused on saving the banks, but not enough was done to protect jobs and livelihoods. This has had severe repercussions for our societies and our politics. Consequently, Barosso’s successor Jean-Claude Juncker promised us a ‘triple-A Europe’, pushing environmental and social concerns further up on the agenda. Exactly a year ago, the Commission adopted an action plan on sustainable finance, corporate governance and mandatory due diligence. Through this, we want to achieve sustainable and inclusive growth, and manage financial risks stemming from climate change, environmental degradation and social issues. Rules are in place for how investment firms and insurance distributors take sustainability issues into account when providing advice to their clients. Climate change is the biggest threat faced by humanity, but we also need to take into account the day-to-day impact new eco-regulation has on the ground. That’s why progressives in the European Parliament in collaboration with the union movement and environmental organisations have worked to mainstream a Just Transition for workers and communities affected by changes in EU climate policy. The European Parliament has insisted on the creation of a Just Transition Fund, specifically targeting regions with high carbon intensity. If the UK were still a member, Leave-voting regions like Yorkshire and Humberside, where 28,000 people are employed in energy intensive jobs, would in all likelihood qualify for additional support. EU consumers are getting a fairer deal too through a new set of measures proposed last year that would result in strengthening consumer rights and their enforcement. And it was the EU that imposed a €4bn fine on Google for illegal restrictions on Android device manufacturers and mobile network operators that had helped the internet giant cement its dominant market position. And speaking of Google, the Commission also launched an ambitious agenda for fairer taxation of the Digital Economy, dubbed the ‘Google tax’. Tax justice is perhaps the area in which the EU has achieved the most progress in recent years, with an anti-tax avoidance package adopted a couple of years ago and new measures to tackle tax base erosion and profit shifting. Tackling precarious work and exploitation has also been high on our agenda and the revision of the Posting of Workers Directive in 2018 was an important step to address legitimate concerns about the abuse of free movement rules to undercut pay. The new rules enshrine the principle of ‘equal work for equal pay in the same workplace’ – something that was high on British trade unions’ wish list, and a cause for concern in the 2016 referendum. Draft legislation on transparent and predictable working conditions will give precarious workers, like those on zero hours contracts, stronger legal protections. But the cherry on top is the creation of a European Labour Authority, set for this year. With all these new rules, proper enforcement is needed. The Authority will provide this across the Union, including the UK if you stay with us. The EU heard the concerns of Labour Leave voters and has responded actively to address them – can the same be said of Westminster? In a hard Brexit, these social directives will not be implemented. With a (postponed) regulated Brexit or no Brexit, the transition period obliges May to implement the legislation discussed above – but this remains true only until the end of 2020. After that, the UK would be on its own, trusting a Conservative Government to keep their word and protect workers when the legal restrictions keeping them from stripping rights would be long gone. Brexit helped bring the EU together and reminded us that the European project is about people, and protecting people. That is our socialism – a counter to the Right’s nationalism and big business greed. Divided we can achieve little, but working together we have so much more to do. In Europe we are ready for Brexit and our legislation is regrettably in place. We sincerely hope that we won’t need to use it – to our benefit, and to yours. Europe is better with the UK in it, we know this to be true. So please stay – at the very least for the free roaming! 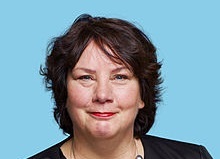 Agnes Jongerius is a Dutch member of the European Parliament. She leads on social legislation in the parliament and was formerly head of the Dutch version of the Trade Union Congress. Now we know exactly why the Tories hate the EU so much! So we are told that the EU has improved. Does that mean the EU is now democratic? When the Council of Ministers and the commissioners are elected then I might change my mind about coming out of the EU. When is the EU going to accept that the UK has voted to leave the EU instead of putting obstacles in the way of the UK leaving? @Neville Ball It always has been democratic, at least more so that the UK. Remind me, when was the last time you voted for a civil servant or a member of the house of lords? Tell me, when did the UK people ever vote to be part of a European Union? When did Britain vote for the EU?. Every General and European Election since the 1970s. Arguably when we voted in Churchill in the 1950s. Creation of UK Suffrage post WW2 . When did britain vote to leave?2018 and 2019.